I don't know about you, but I have always been a huge fan of Urban Decay's eyeshadow palettes. They were the only things I would buy from Urban Decay, but I thought since there palettes were amazing, I should go a head and give one of there lipsticks a try! So I ended up picking up one of there lipsticks and I chose the shade Naked. 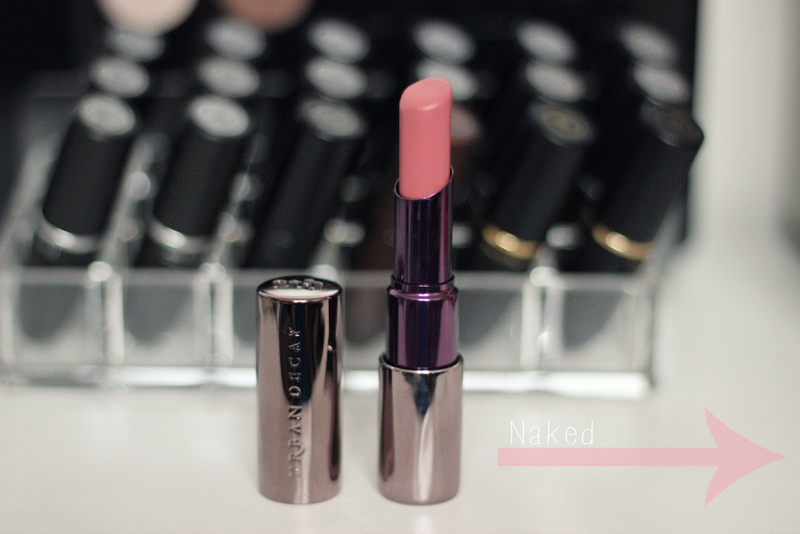 Naked is a pretty pink color. 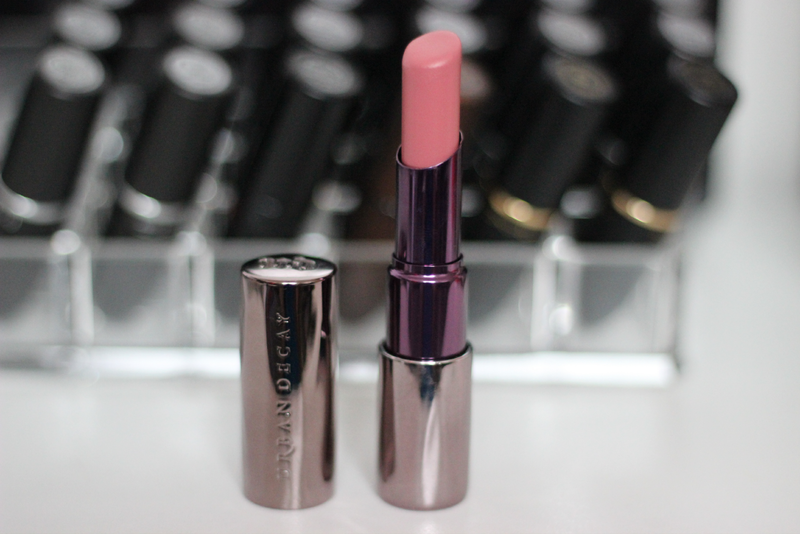 These lipsticks are seriously so hydrating on the lips. 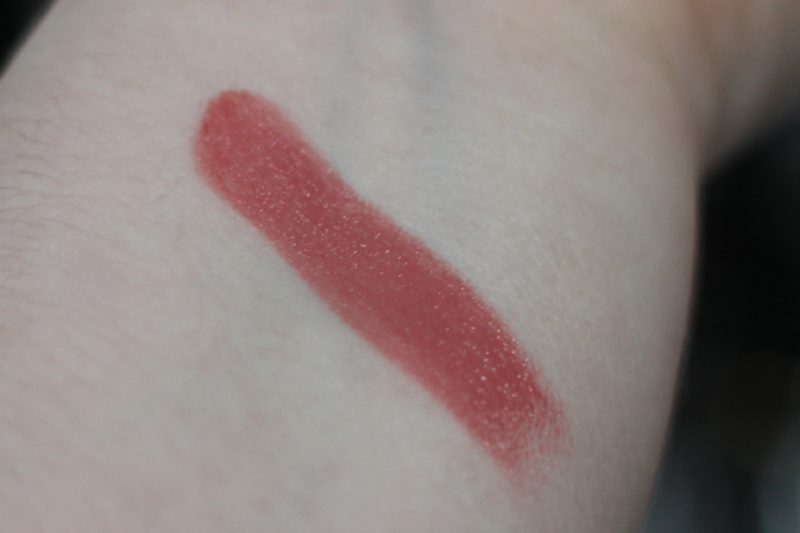 I have never found a lipstick so hydrating and soft in my life. I fell in love with this lipstick since day one. Now I have been wearing it almost everyday. It has great color pay off but the only bad thing I would have to say is that I have to apply it a lot throughout the day. It normally last a few hours then I would have to apply it again. Other then that I have nothing else bad to say about this lipstick. I find that this is the perfect lipstick for my lips. Overall I would give this lipstick a A rating. These are $22.00 each and can be found anywhere that sells Urban Decay products. I agree!! Which shades do you own?